With all the news out of Greece, China, NYSE down 4 hours, etc. you would have expected a down week yet the market was almost unchanged. As I pointed out last week the 2 shorter cycles were up and had a quicker cycle move over a short time offsetting the larger amplitude of the longer cycles over a longer period. 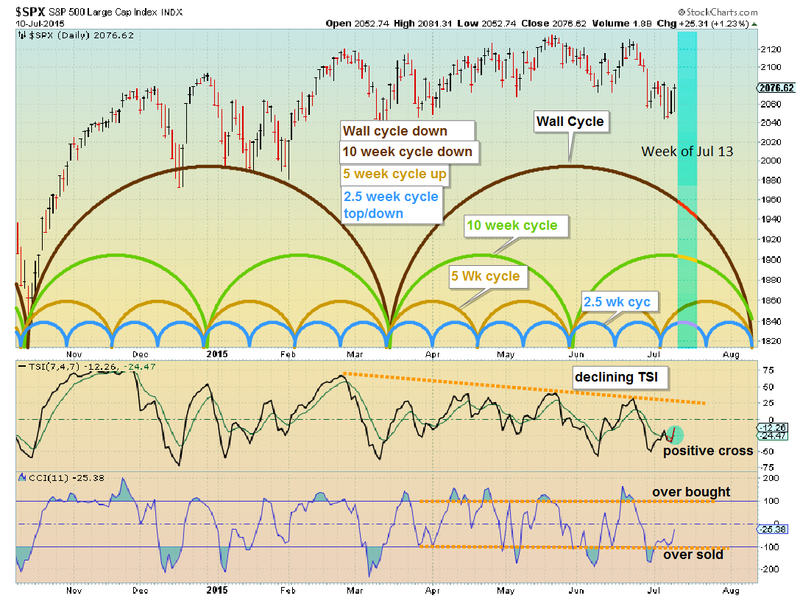 Cycle alignment (wall and 10 week down, 2.5 week top and down) suggests a down week for the week of July 13.